Closed end lease offer is $299/month for 36 months/30,000 miles. First payment of $299 due at signing. $650 bank fee, $499 Dealer Conveyance Fee, Tax, Title, and DMV fees additional. Subject to Hyundai Lease Titling Trust credit approval. Minimum credit score of 740 to qualify. Security deposit waived. Disposition fee of $400 due at lease end. Two or more available at this price. 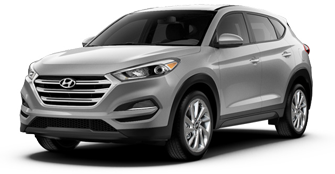 Offer based on 2019 Tucson Value Edition with AWD and Automatic Transmission, Stock #190143/190179, Model Code 844A2A45, MSRP of $27,725, Residual of $16,080. Must finance through Hyundai Motor Finance for buy price.